Apple logo is wrong btw . Yes it IS wrong!!! How could I do this? It must be stress! Ha ha…. nice one. Love Viv’s expression! fyi Soo. 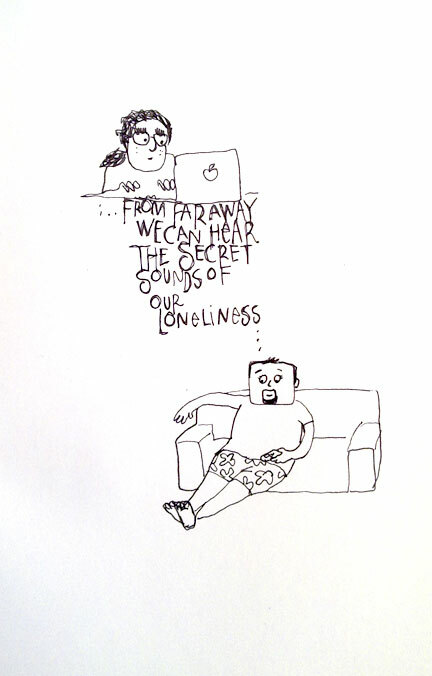 Vivek’s sounds of loneliness aren’t so secret. 😀 But shall be fun to see how his life becomes a Mardi Gras when you are back. Thanks Kundu 😛 He actually is just like this even when I’m there with him! Awwwwwww!!! Super duper sweetness…:-) Can’t wait to meet you when you come back!! @Viv: what do you mean, spy cam? you’re like this even when I’m there!